Dates, Raisins (14%), Cashew Butter, Almonds (10%), Raw Cacao (10%), Brown Rice Powder, Brown Rice Malt, Cacao Butter (4%), Sea Salt, Green Tea Extract. 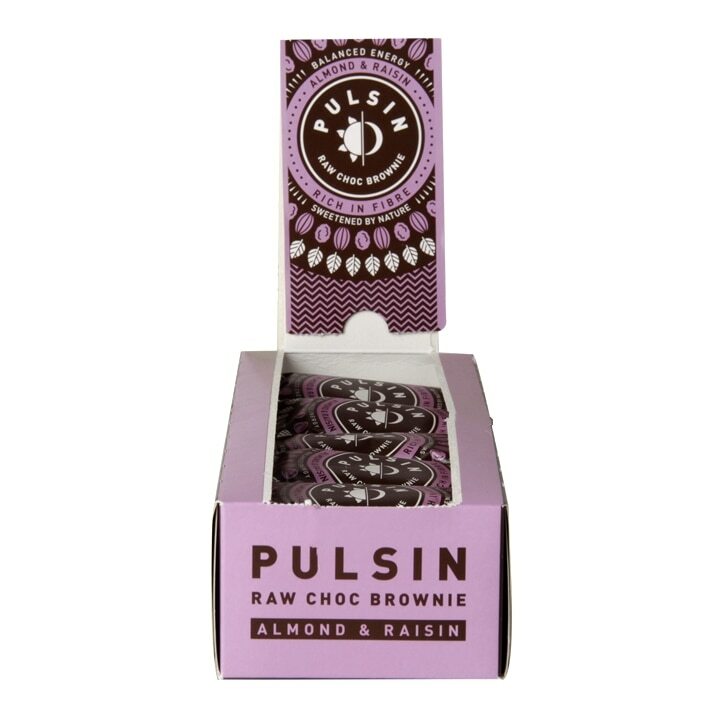 Pulsin Almond and Raisin Raw Choc Brownie is rated 4.6 out of 5 by 13. Rated 5 out of 5 by Izzygrace from Yum Really tasty- nice chunks of nuts and raisins. Healthier alternative to a regular brownie. Rated 5 out of 5 by Tracey88 from Tasty! Really delighted with this product! bit pricey tho. Rated 5 out of 5 by Debbie54 from Great taste These bars were very full on cocoa taste which we enjoyed. Would definitely buy again. The price was quite reasonable too compared to some bars.